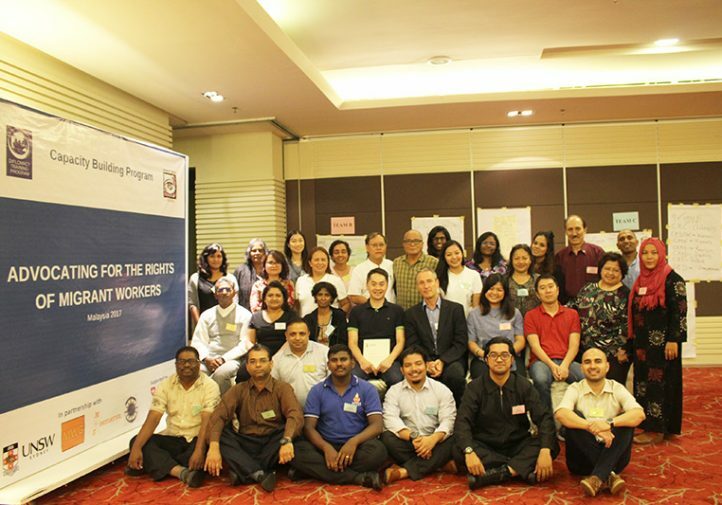 Migrant Forum in Asia (MFA) in partnership with Diplomacy Training Program (DTP), Bar Council Migrants, Refugees and Immigration Affairs Committee (MRIAC), North South Initiative (NSI) and Migration Working Group (MWG) conducted a capacity building program, with theme “Advocating for the Rights of Migrant Workers in Malaysia” last 31 March to 3 April 2017. 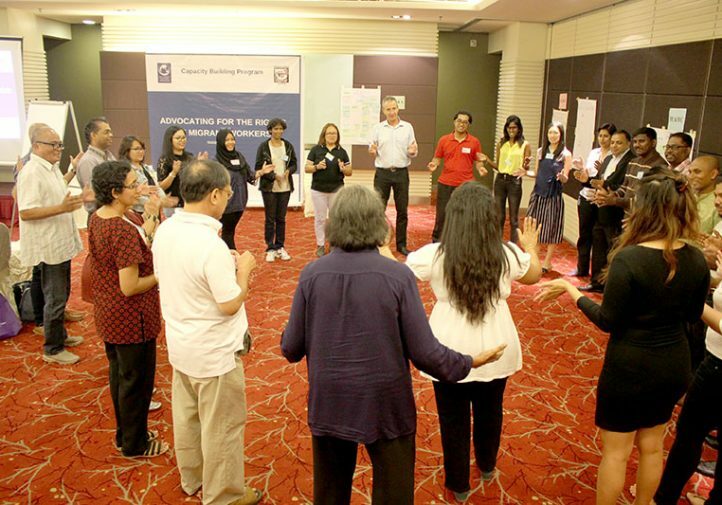 Following years of regional training programs, MFA’s members have requested tailored assistance at the national level. 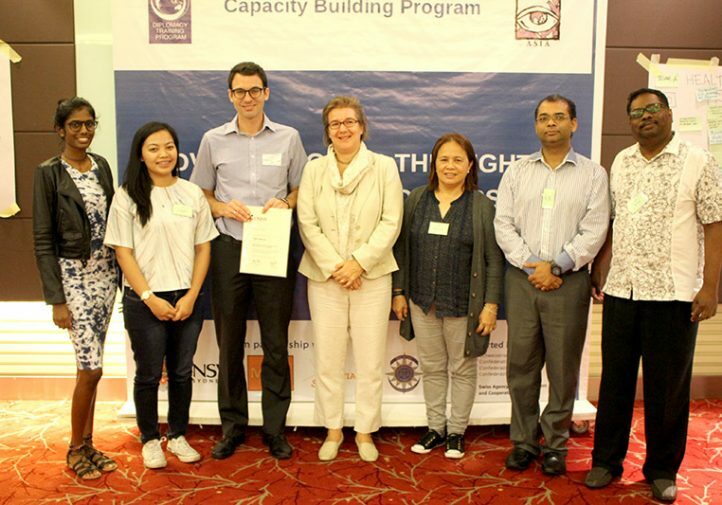 Consequently, DTP/MFA have developed national-level programs with content designed to meet country-specific needs. 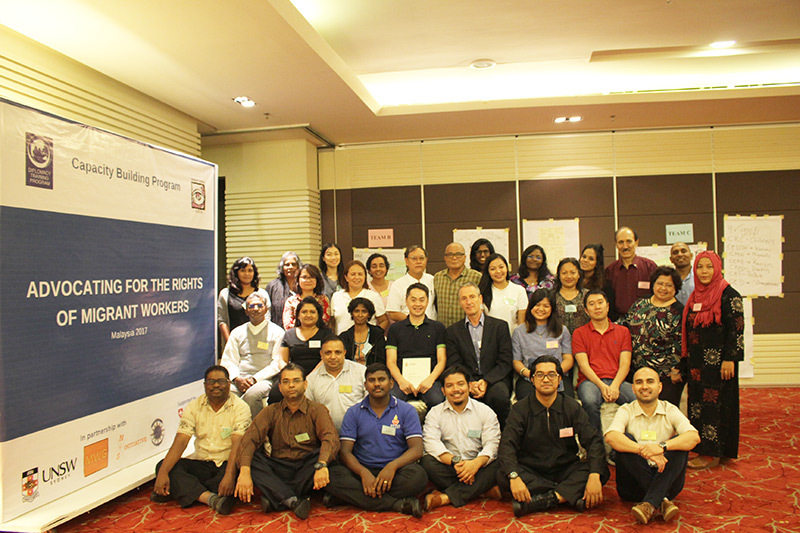 Feedback from the first such programs, conducted in Nepal in 2013/14, Sri Lanka in 2014/15, and Bangladesh in 2015/16, provided an opportunity for advocates to work together on developing strategies and plans to address specific human rights issues affecting migrant workers in their own countries, helping to build up CSO networks for migrant rights at the national level. The programs also shared good practice from other countries of origin, developed understanding of the situation in countries of destination and built links with NGOs and networks there. 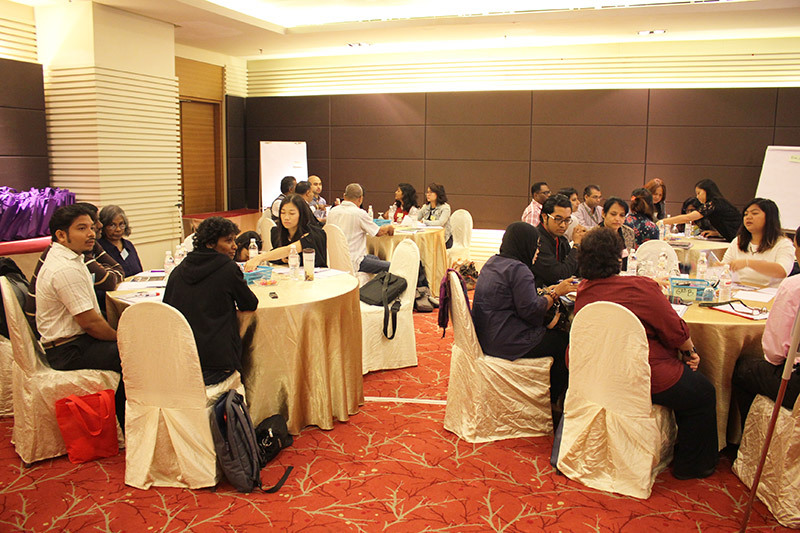 Participants tackled migrant issues not just in the context of Malaysia, but also issues from Indonesia and the Philippines as well. 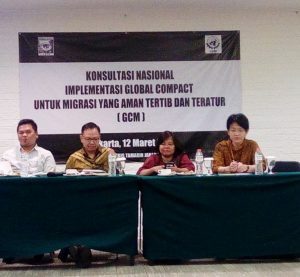 They were introduced to concepts such as the ASEAN Migrant Workers Treaty, the Global Compact, 2030 Sustainable Development Goals, the UN Human Rights Monitoring and Accountability System, the International Labor Organization and International Organization on Migration systems. Addressing relevant institutions such as the government and how participants can put forward their advocacies was also discussed in the training. 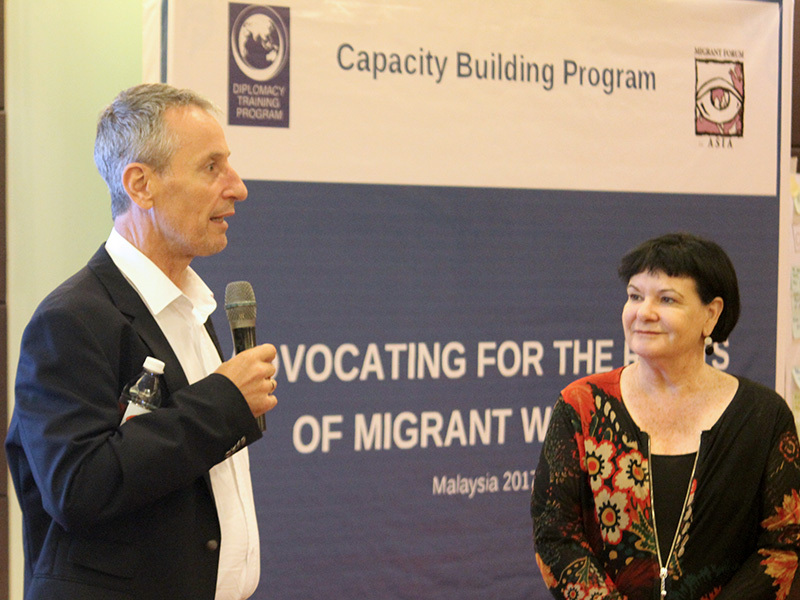 There were workshops where participants were tasked to identify pressing issues surrounding migration. 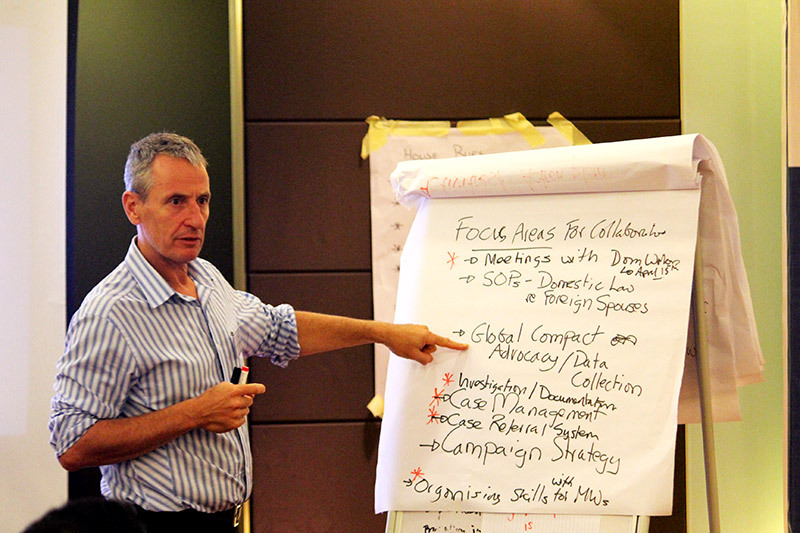 They were also tasked to come up with solutions and recommendations to address these issues. 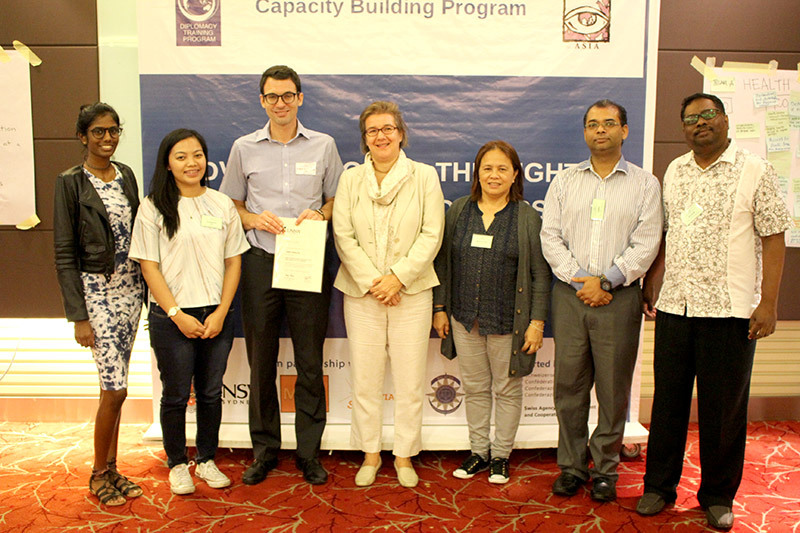 Invited resource speakers were the following: human rights activist Ruki Fernando, representative of Malaysia to the ASEAN Intergovernmental Commission on Human Rights: Edmund Bon, International Organization on Migration: Jobst Koehler, and International Labor Organization: Marja Paavilaine and Humanitarian Organisation for Migration Economics: Jolovan Wham. 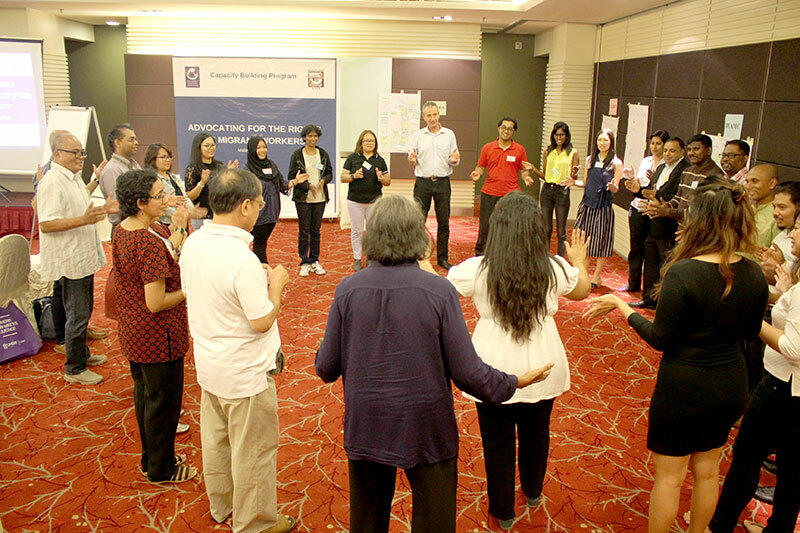 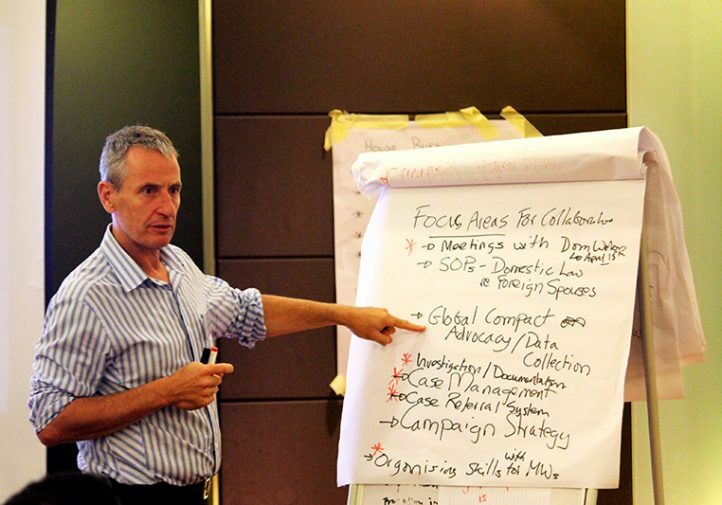 The training is a first of a five module training program with CSOs in Malaysia. 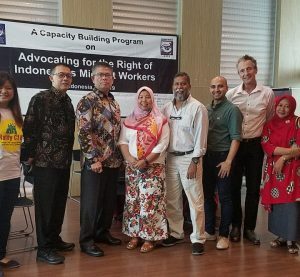 The next modules will involve participants from countries of origin of migrant workers and will focus on topics such as recruitment reform, organizing of migrant workers and documentation for advocacy.